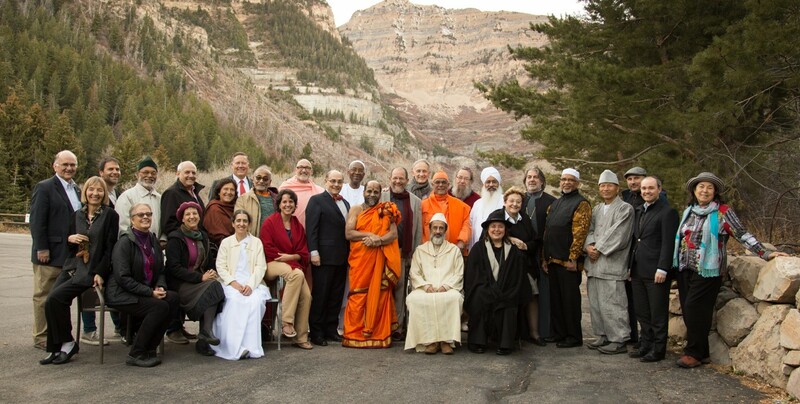 Developing contemporary theologies of other religions is the major theological task for all those engaged in interreligious work. With support of the Henry Luce Foundation, in partnership with Yeshivat Chovevei Torah Rabbinical Seminary, Elijah has been involved in a project of developing a contemporary Jewish theology of world religions. The conceptual foundations for the project were laid at the Scranton Conference, devoted to the subject. Papers of the Scranton conference are soon to be published by the Littman Library, in a volume titled “Judaism and World Religions”, edited by Alon Goshen-Gottstein and Eugene Korn. The recent statement of Elijah scholars against the teachings published in the book Torat Hamelekh was made in the framework of this research project. The publication of this book and the public discussion it has engenedered concerning Jewish attitudes to non-Jews are an indication of how vital this project is to Jewish thought and education. Other dimensions of this project are listed in the following items of the present newsletter. A daylong conference on the theme of ‘Election and Jewish Particularity’ was held last year, in the framework of the World Congress of Jewish Studies. 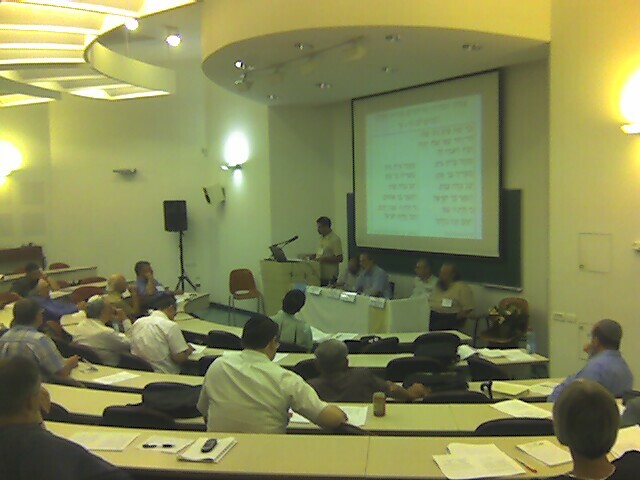 Speakers included Reuven Kimelman (Brandeis University), Don Seeman (Emory University), David Berger (Yeshiva University), Yehuda Gellman (Ben Gurion University), Shraga Baror (Shalom Hartman Institute), Israel Knohl (Hebrew University), Alan Brill (Seton Hall University), Menachem Katz (Efrata College), Menachem Kallus (Independent Scholar), Menachem Kellner (Haifa University) and Alon Goshen-Gottstein (Elijah Institute). The conference tackled the question of how one ought to conceive of Jewish ‘election’ within the broader framework of contemporary interfaith relations. One of the main outcomes of the conference was the recognition that we must revisit our ancient sources and that these contain many theological possibilities and insights that have been lost over the generations. The history of Jewish reflection on Jewish particularity is far richer than one might think, and a first step for developing contemporary theological positions must be to revisit some of our traditional sources. This issue’s Sharing Wisdom section offers such an exercise, as offered at the conference by Menachem Katz. Katz revisits the prayer, recited thrice daily at the end of each of the obligatory prayers, called the Aleinu. The Aleinu is traditionally considered a prayer that juxtaposes Jews and non-Jews, giving thanks for the lot of Jews and expressing rejection of non-Jews. Katz offers a completely different reading of this classical prayer, that redefines it in historical terms, opening the prayer up to alternative interpretations, that may be more appropriate for a contemporary theological context. About thirty scholars took part in the Luce funded research project “Towards a Contemorary Jewish Theology of World Religions”. The project’s main product (in addition to the soon to be published book) is a syllabus project, in which participants design study units for Jewish seminarians and educators. These units will tackle the various conceptual issues associated with developing a contemporary Jewish theology of world religions. Following the above-mentioned conference, the first set of study units will address the theme of “Election and Jewish Particularity.” The units are focused around primary texts and their interpretations and seek to offer multiple interpretations for key texts. Accordingly, a database will emerge that will capture the multivocality of the Jewish tradition historically and the multivocality of the Jewish community today, as it reads its sources and grapples with their contemporary applications. The syllabus is designed to serve seminarians of various denominations. It will permit complex searches, and will allow teachers to design their own courses according to their interest, denominational focus and theological preference. The first set of study units is in hand and served, this past June, as the basis for a course, offered at Yeshivat Chovevei Torah rabbinical seminary. The course sought to train students in theological thinking, as they engage the multiple theological options made available by tradition. Attention was paid not simply to studying the positions, but to the choices involved in accepting one position or another. Accordingly, students were encouraged to articulate their own theologies, in responsible dialogue with traditional sources. The course met with huge success, suggesting that the resources that are currently being created will indeed prove to be an important theological and educational resource. A section of Elijah’s website is currently being designed to meet the challenge of hosting these interactive materials and making them available to educators, seminarians and religious leaders. Jerusalem has just lost another of its peacemakers and interfaith dialogue activists. Daniel Rossing passed away in early November. Rossing headed the Jerusalem Center for Jewish-Christian Relations. He formerly was Head of the Christian Communities Desk at the Jerusalem Foundation, Director of the Department for Christian Communities in the Israeli Ministry of Religion for thirteen years, and Director of the Melitz Center for Christian Encounter with Israel. Daniel Rossing taught in the Hamline-Hebrew University Program on ‘Law, Religion and Ethics’. He is author of Between Heaven and Earth: Testimonies to 2,000 years of Christianity in the Holy Land. Daniel took part in various Elijah dialogue activities over the years. His own unique contribution to the world of interfaith relations was the affirmation of the importance of local Christian communities and relations with them. In a land that is frequented by Christians from all over the world, keeping up the voice of the indigenous. Christian community has been an important service. He will be sorely missed. The following excerpts are taken from Menachem Katz’ discussion of the Aleinu, as part of the educational syllabus project. It was first presented at the Elijah conference ‘Election and Jewish Particularity’. I wish to propose that [the first paragraf] of Aleinu is an extremely ancient prayer that was created even prior to the destruction of the Temple and served as a common prayer for all who came to the Temple, both Jews and non-Jews, who were called “God-fearers” or “fearers of Heaven.” This was the case, even though it is commonly accepted to see this prayer, Aleinu le-Shabbe’ah, as one emphasizing the difference between the Jewish people and the other nations—“us” against “them”—and so it has been perceived over the generations. for He has not made us like the nations of the earth; and has not emplaced us like the families of the lands; for He has not assigned our portion like theirs, nor cast our lot like all their multitude. For they bow to vanity and emptiness and pray to a God which helps not. and acknowledge our thanks before the King Who reigns over kings, the Holy One, Blessed is He. and His powerful Presence is in the loftiest heights. He is our God and there is none other. as it is written in His Torah: “Know therefore this day, and consider it in thine heart, that the LORD he is God in heaven above, and upon the earth beneath: there is none else” (Deut. 4:39). Precisely in the Temple and in connection to it, the early Sages saw a need to stress the difference between pagan shrines and the Temple in Jerusalem. A number of places in the Scriptures as well the Sages saw a need to emphasize the unique nature of the Temple in a manner not contradicting general monotheistic faith. We are currently developing an interactive website for the work of the Jewish Theology of Religions project. Please help support this costly undertaking with your contribution.